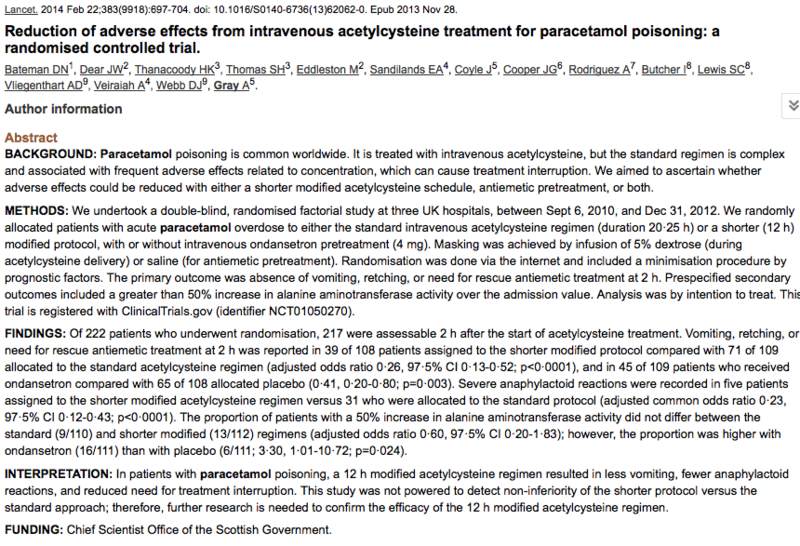 The week’s Lancet has a great paper on the management of paracetamol overdose. A subject close to our heart at St.Emlyn’s following the recent changes to UK guidelines that have led far more people in the ‘treatment zone’. The increase in the number of patients getting treatment has inevitably led to an increase in the number of patients suffering the side effects of treatment. 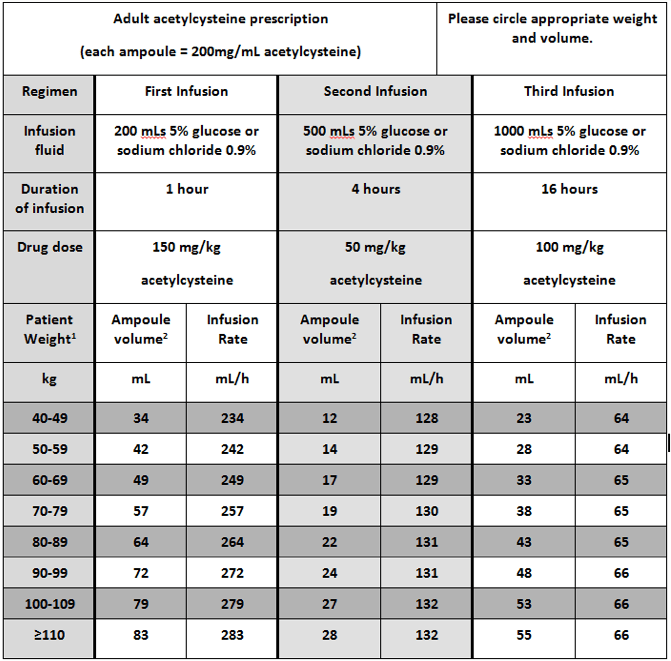 In the UK and Australia treatment consists of intravenous Acetylcysteine (Parvolex) in the following regimen (click on the figure to expand). Since a change in 2012 we have become familiar with this regimen and it’s in daily use in most large EDs. In general it works well, but Acetylcysteine has a few problems. The dosing can cause confusion as it requires numerous calculations and I’ve seen people get it wrong (one of those people was me), so simplicity is a good thing. It takes a long time to complete…, 24 hours in fact and that’s a problem in the ED. Patients who have intentionally OD’d are often not declared ‘medically fit’ (discuss!!). Until the drug has completed the full 24 hours the psychiatry team may refuse to see the patient until they are signed off as ‘medically fit’ (again discuss what this means in this context!!!!). Patients therefore languish attached to a drip whilst arguably waiting for the management of the root cause of their problem. Shortening the waiting time would be a good thing. The drug has a number of side effects including vomiting, anaphylactoid reactions, rashes etc. This often interrupts treatment and it’s unpleasant for the patient. A lower incidence of side effects is good for everyone. So 217 patients in acute care settings were randomised to standard therapy (as described in the table above) or to a new accelerated regimen as below. A dextrose infusion to act as a placebo for the next 12 hours. In other words they have halved the time taken for treatment. They also randomised patients to receive Ondansetron or placebo prior to infusion. As vomiting is a significant side effect this is standard practice in some areas. Patients had to require treatment, so if subsequent testing (paracetamol levels) showed no need to continue treatment they were removed from the trial. Glad you asked, as it’s interesting, clever and a little bit complex. The authors took a number of factors into account. They wanted to get roughly 4 equal groups, (ondansetron vs placebo and normal regimen vs new regimen gives four potential 2×2 combinations). They also wanted to make sure that they made sure that patients with a range of prognostic factors appeared in all of those 4 combinations. They used a technique called minimisation to do this which is quite smart. You can read the details in the link, but in essence minimisation allocates the next patient in a trial to the group which is least likely to cause an imbalance according to pre-existent factors. In this case they looked at paracetamol dose, known hepatotoxic risk factors and time. It’s a clever technique that perhaps we should see more of. Minimisation. Good question, at first glance I thought this might tell us whether the new regime is better, but in all honesty (the authors are honest) it is too small to tell us whether the new regimen is better, worse or just the same. Greater numbers of patients would be required to do this. However, this trial can tell us about tolerance, acceptability and achievability. Their main outcomes were. Interesting and unexpected to be honest. I would have thought that a faster, shorter drug regimen would mean more side effects, but the opposite is true. For the primary outcome the lowest incidence of nausea vomiting was in the Ondansetron+new regimen group (roughly 26%), then the placebo+new regimen group (65%), then Ondanstron+ old (60%), then placebo+old (70%). This suggests that the difference was due to the new regimen rather than the Ondansetron, and those are clinically important differences. Figure 2 looking at nausea/vomiting from the paper is here. Similarly there was a lower incidence of anaphylactoid reactions in the new regime groups. Figure 3 on anaphylactoid reactions. 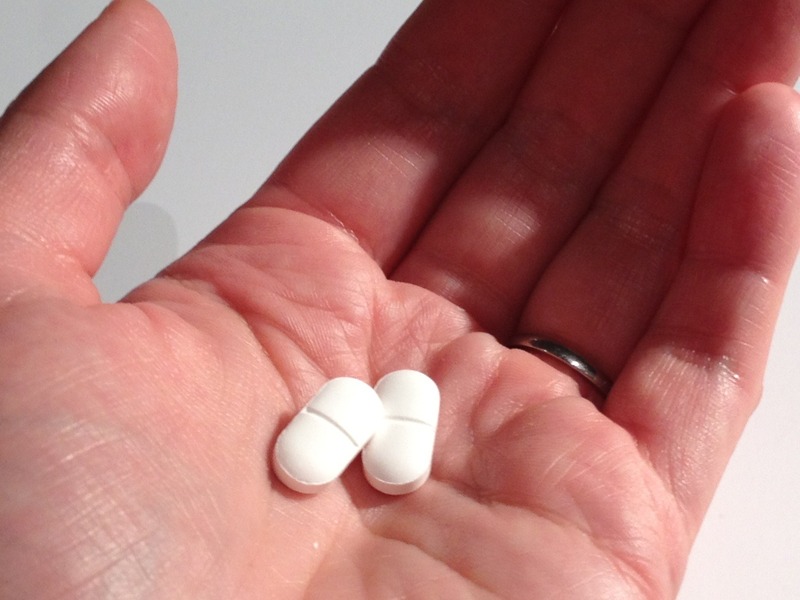 Paracetamol poisoning remains a real problem around the world. It’s common, potentially fatal and currently easy to get the dosing wrong. I like papers like this that challenge established practice and ask us to reconsider what we think we already know. If anyone wants to do the RCT and involve Virchester as a recruitment centre then get in touch, we have plenty of candidates 🙂 . Great review, Simon. Had this discussion with the tox folks here with the same conclusions. The study is too small and most of the patients had mildly elevated levels. Their feeling was that many of the patients probably had negligible APAP levels at 12 hours so it was fine to stop treatment early. I agree. An interesting study but not enough to change practice at this point. Peak infusion rate with the new schedule is 50mg/kg/hr, compared to 150mg/kg/hr with the current regime (and previously higher!) Given the worst reactions seem to be to the initial infusion, it makes sense that the study regime is better tolerated, but all credit to the authors for testing this out. I’m not sure I know the figures for significant hepatotoxicity in treated overdose – how big would a non-inferiority trial have to be? Good point, the lower mg/Kg/hr may well be the reason why there were fewer side effects. As for study size, gosh I don’t know off the top of my head, though I would suggest that it would be require a very large study. We could of course say this is far more evidence than that for NAC treatment in the first place… a single arm trial of 15 patients demonstrating an improvement in LFTs IIRC. It’s good to question this kind of dogma that we need to treat paracetamol OD with NAC, but to claim that we require a gold standard trial to shift from an established practice without an evidence base to a new practice is epistemiologically nonsense. Nice article and review. I am currently designing a poster on paracetamol OD and treatment as part of an MSc. I have just found another angle to explore! Thanks.